“Irony” is a widely misused word, as illustrated by Alanis Morrissette’s hit song from the ‘90s. That said, like obscenity, most people know it when they see it. And on Monday, we saw it. 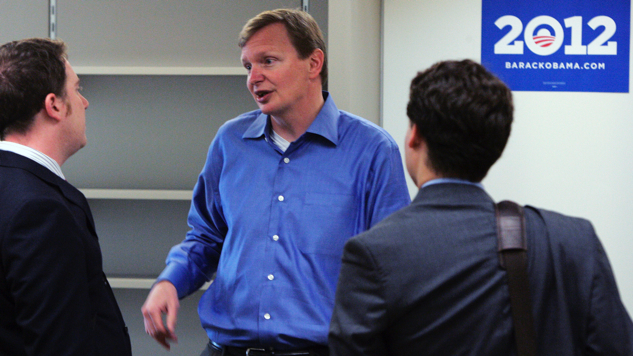 Former Obama aide and Hillary Clinton booster Jim Messina sent out a tweet soliciting donations for a former Obama staffer who is currently facing a serious health issue, and potential bankruptcy under the Affordable Care Act (ACA). Why is that ironic, you ask? Well, Messina, a former aide to Montana Senator Max Baucus, served as Deputy White House Chief of Staff for Operations under President Obama where he became the unofficial enforcer for the neoliberal elements within the administration. He was a key player in ensuring the Affordable Care Act included neither a single-payer plan or even a public option. As The Nation reported back in 2011, Messina used his influence to place his old boss at the center of the health care debate, helping to secure his “gang of six” senators to write the legislation which would eventually become the Affordable Care Act. In retrospect, this move was widely viewed as a misstep as it slowed the process down, and opened it up to the influence of industry. And yet, while this was going on, Messina took on the role of bully-boy to shield Baucus from progressive critics and scuttle efforts to reform the bill by groups like Health Care for America Now (HCAN). Bernie Sanders is doing a very interesting political play, trying to run against Barack Obama. He’s out there taking shots at Obamacare and saying we need a single-payer system, when a huge number of Democrats — and especially in Michigan — fought so very hard to pass Obamacare. Millions of people now have coverage, and better coverage, and much better guarantees and rights and access to preventive care. Bernie seems to be trying to pick a fight with it and, really, it’s one of the most confusing political moves I’ve seen recently. On the other hand, you’ve got Secretary Clinton, who has been working on these issues since the 1990s and understands them very well, can speak very authentically. I was in the Oval Office branch when the President signed the bill and watched Secretary Clinton hug him and congratulate him on the law’s passage. She knew how hard this was. And I think she is doing a very good job talking about her support for it and how we can strengthen it. I think that’s a very reasonable discussion. Following Donald Trump’s victory in November, many outside observers have noted that Sanders would have been the stronger candidate. In any case, here we are today, shortly after the Republican health care proposal failed spectacularly. At this point, Messina’s disingenuous attacks on Sanders and progressive policy have been laid bare. In the wake of the GOP’s failure, the plight of his friend is a stark reminder that you can slap lipstick on the pig that is private insurance, but it’s still just a pig. Our current mode of health insurance failed his friend, and faced with that reality, Messina turned to a different form of—you guessed it—the public option. Perhaps now would be a good time for Messina to get on board with Senator Sanders’ renewed push for single-payer.